Rulmeca Corporation is pleased to announce the addition of two key sales representative firms to our network. With the goal of making more trained sales personnel available to our customers throughout the United States, Rulmeca is continually adding and training key people. 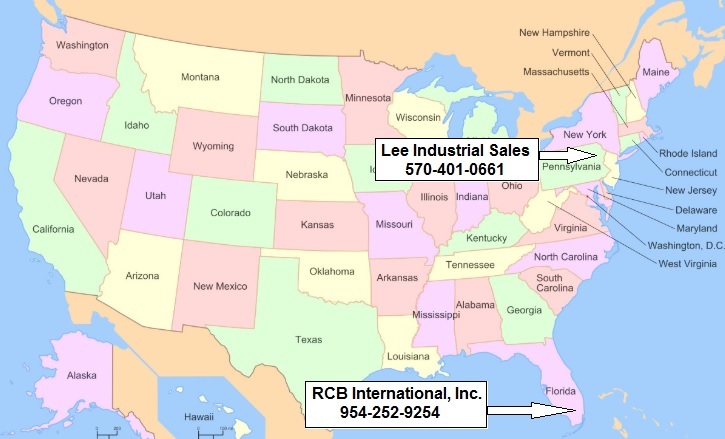 Michael Lee, of Lee Industrial Sales, and Rafael Benitez, of RCB International, Inc, bring many years of experience to our company. For contact information, click here. Michael Lee’s territory includes Pennsylvania, New York, New Jersey, and Maryland. His primary focus is to expand Rulmeca Motorized Pulley sales into the food processing and unit handling markets. He will work primarily with OEMs and distributors while calling on food processors and package handling facilities within his territory. Rafael Benitz’s territory includes the state of Florida, except the panhandle. His primary focus is to expand Rulmeca Motorized Pulley sales into the food processing and unit handling markets. He will work primarily with OEMs and distributors while calling on food processors and package handling facilities within his territory.